It’s our first blog post of 2019 and if we do say so ourselves, you’re in for a treat. With only seven days of January left (yes, it’s been January for months now) we thought now would be a great time to inform and inspire you all. We’ve collated a top ten list of the trends set to take the world of interiors by storm this year. We’re all individuals with our own unique tastes, use this list as more of a guide to help you make the best decision for your taste and your space. Prepare to be amazed! If you haven’t seen any products inspired by the ‘natural’ movement.. Where have you been?! We humans are doing a fine job recently of trying to save and preserve the planet we live on, (yay go humans). People are swapping synthetic materials, throwing out harsh chemicals/dyes and are now much more in favour of raw and organic materials like bamboos and natural weaves as well as eco-friendly dyes and paints. Don’t get us wrong, we love a monochromatic room as much as the next person. Whilst black and white will always inevitably show up in our homes somewhere, this year we think people are going to be much more adventurous with colour. Last year we saw striking blue and green tones take a front row in interiors; these colours are still very popular and we don’t think they’ll be going anywhere just yet. However, more daring tones like animal prints, burnt oranges, corals and vibrant yellow hues are muscling their way into the colour palettes of our homes this year and and throughout 2019. Another trend that has been around for the last couple of years, but showing no signs of budging and we’re perfectly okay with that! 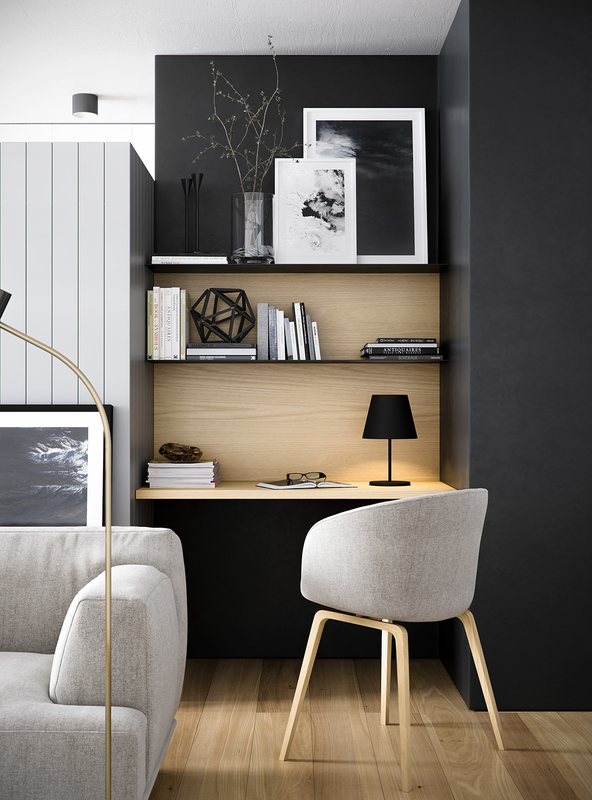 The minimalistic living idea from our Scandinavian counterparts has taken the interior world by storm, with many homeowners opting for the ‘hygge’ show home look for their homes instead of the traditional ‘lived in’ look. In other words, less is more! We live in a time where it’s okay to be yourself (thank goodness). No matter how quirky or unusual your style is people are ready to make a statement. What’s important to remember is, as long as you love it, its okay! People are shying away from traditional muted tones and instead are painting, decorating and upholstering their homes in every colour of the rainbow. Reminiscent of the carefree 70’s era, we predict 2019 to be the year of green sofas, burnt orange armchairs and floral carpeted wallpapers! Not so much a trend but rather a trending area. The kitchen has become the new living room, gone are the days your kitchen was solely to cook in. Our kitchens are now becoming our entertaining rooms; bursting full of art, fabulous colours and trendy tiling. Marble and speckled patterns were hot on trend last year and are showing no signs of dying out just yet. Whether it’s a side table, cutlery or pieces of art; we’re all completely mad about marble! Speckled patterns/terrazzo are indicating they are here to stay, with many interior companies incorporating this design into their cushions, media units and wallpapers. (Grey and Beige) and tan-hued tones are also making a comeback. Beige will be a strong colour, working mainly as a backdrop on walls or the go-to colour for furnishings. The colour works beautifully with forest greens and pinks (also hot this year) and to finish off the look gold or black metals will really help greige tones pop! In previous years and as recently as last year everyone was raving mad about sleek lines and symmetry; this year we are all about curves. Curved and rounded furniture is what it’s all about this year as we’ve been seeing in many sofas, armchairs and headboards! As explained previously in this blog, we are becoming more and more experimental with our colours and using them in areas you typically would expect to find more demure tones. Pink in every hue is here to stay, specifically light and muted pinks. Mint green is also due to be back with a bang although, we may not see very much of it until later on in the year. Mint greens teamed with pinks and peaches are a match-made in hue heaven – we can’t wait for summer to arrive and see it embraced in its entirety! Fringing really took off towards the latter of last year and we know we haven’t seen the last of it just yet! The bohemian-inspired trend is taking the interiors world by storm; with everything from mirrors, lampshades and armchairs fringed from here to the heavens. So there you have it, the top 10 interior trends for 2019! We hope that you’re now bursting full of inspiration and are brave enough to try some of these amazing ideas out in your own homes. No matter how big or small a change it may be, you can make a huge difference with little tweaks here or there. All the best, happy designing! Image Credits: Pinterest, Brijiena Lovelace, Sweetpea & Willow.com, Home-designing.com, Mondesign.com, Green and Mustard (Instagram), 2LG (Instagram), Red Magazine, Contemporary Lighting, Copycatchic.com, Style-files.com, Urban Outfitters.